Blue Pearl Farms brings you our best at every regular session of the Charleston Farmers Market and the Mount Pleasant Farmers Market throughout the year. Some special markets this month bring you all our delicious honeys, including luscious wetlands, summer sunflower, and kiwi wildflower honey spreads. Our original blueberry compote and blueberry chipotle barbecue sauces, made by us from our blueberries, enhance and complement old and new flavor favorites, and our blueberry honey candles soothe the soul. Our skin solutions, all farm made and farm tested, some special gift sets, and more will be with us at all the markets starting tomorrow, December 2, at Marion Square in downtown Charleston. 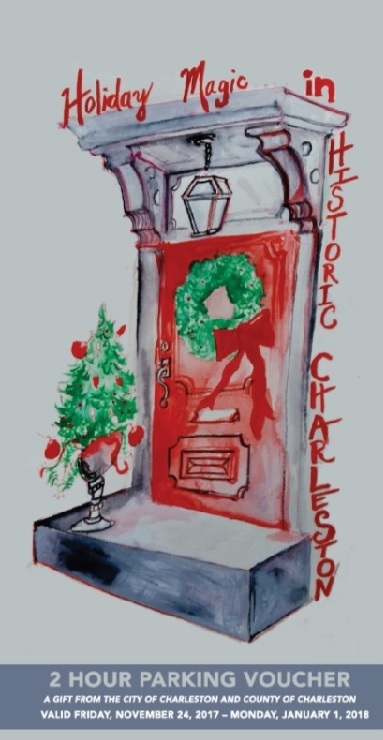 December marks the City of Charleston's Holiday Magic celebrations, including the special Holiday Markets on Marion Square, each Saturday and Sunday December 2 through the 17th. Hours are 9-3 pm, and you can click here to download a 2-hour free parking pass valid through January 1. Saturday, December 9, from11-4 pm, visit us at the Town of Mount Pleasant's Holiday Market in our usual spot on the inside of the courtyard. If you can't make it to a market, you can visit us online to shop, and if you order by December 17, the US Post Office will get your gifts to where they belong by the 25th. Thank you for all your support and enjoyment of our lowcountry blueberries, festivals, bees, and blue crab this year. We appreciate you and your thoughtful words very much, and wish you all the best in 2018.